A lot of divers don’t want to use a laptop to download their dives during vacation. 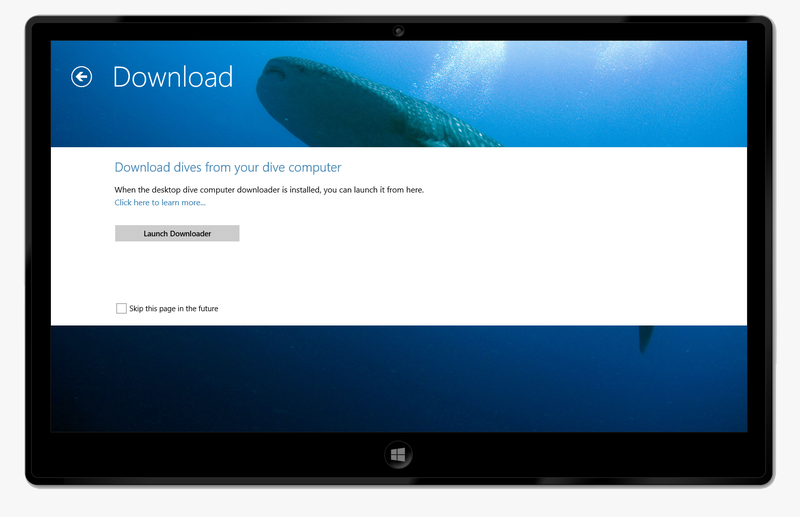 Instead there are many requests to download dives directly to a tablet, which is more lightweight than a laptop. Unfortunately this is technically challenging or almost impossible to do this from a tablet app (e.g. iPad or Windows Store app) due to hardware limitations or missing API’s. Because of that, I created a touch optimized dive computer downloader (based on libdivecomputer), which runs on the desktop in full screen. It looks exactly as Diving Log Touch and can be easily used with a touch screen or mouse, but it is a desktop application and thus does not have the limitations of Windows Store apps. 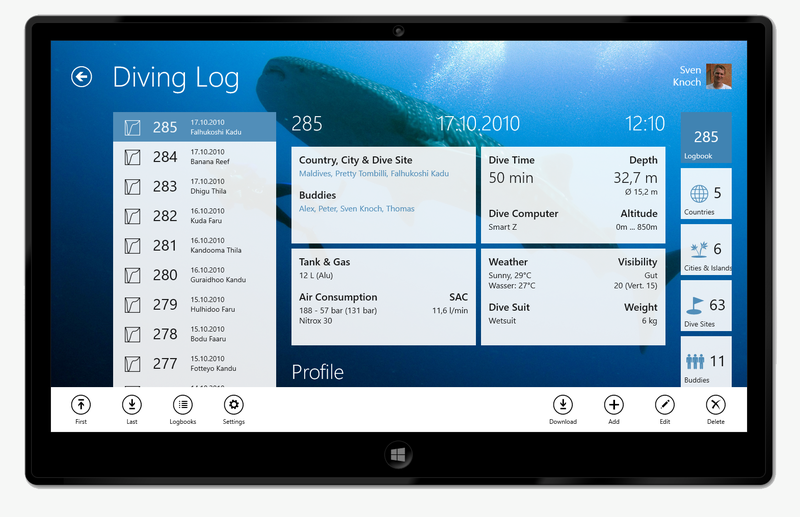 When the downloader was launched from Diving Log Touch, the dives are imported directly into the touch logbook. 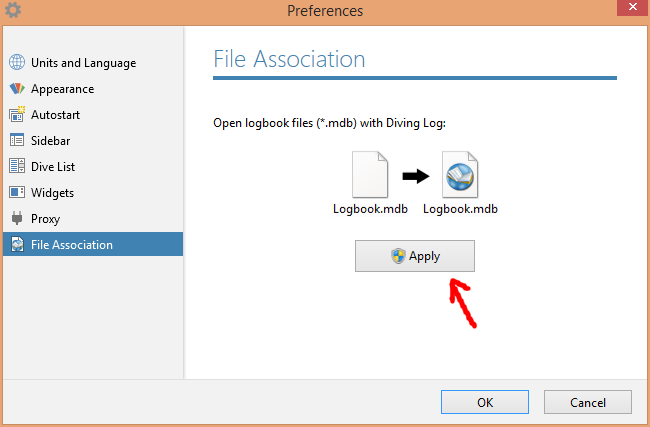 When it was started from the desktop, it will download the dives into your desktop logbook. After downloading and importing, you can either close the desktop downloader with the X in the upper right corner or you can switch back to Diving Log Touch with the back button in the upper left corner. Where can I download the Touch Downloader? Why does this app run on the desktop and is not integrated into Diving Log Touch? Why do I have to install the Diving Log 6.0 desktop application to get the touch downloader? On which devices does this downloader work? When I tap “Launch Downloader”, a website opens or nothing happens at all. I have a Windows RT device (e.g. Surface RT or Nokia Lumia 2520), can I use this downloader? 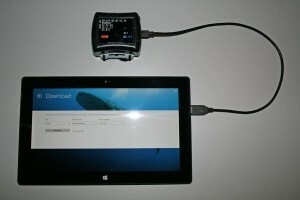 I have an Android tablet, can I download my dives directly with it? 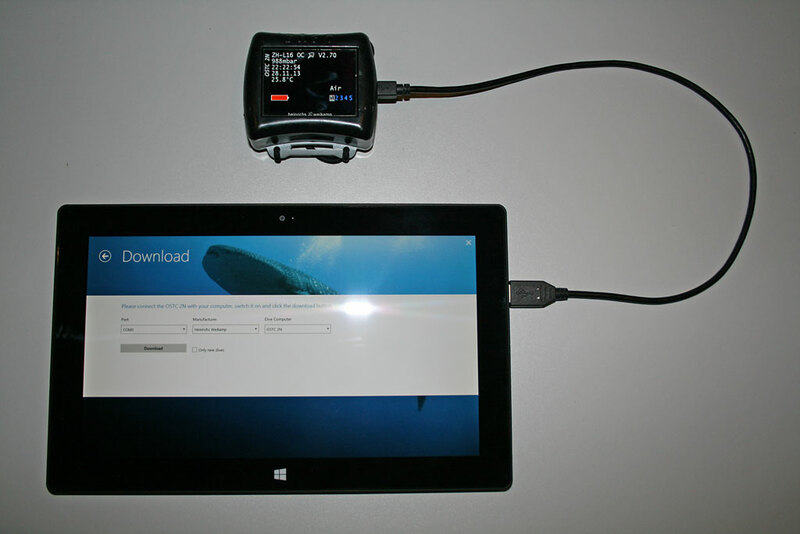 I have problems downloading my dive computer, what should I do? My dive computer is not listed, how can I help to get it supported? This entry was posted on Thursday, November 28th, 2013 at 11:59 pm and is filed under Diving Log 5.0, Diving Log Touch. You can follow any responses to this entry through the RSS 2.0 feed. Both comments and pings are currently closed.